Quanser Engineering Blog - Your Comments Welcomed! : What Makes the xy Shake Table III Attractive To Professors? What Makes the xy Shake Table III Attractive To Professors? In a recent blog post we talked about our Shake Tables and how they help undergrad students grasp complex concepts of structural engineering more quickly and thoroughly. Today, let’s focus on the largest member of the Quanser Shake Table family. One reason professors choose the XY Shake Table III is its usefulness in demonstrating the principles of structural dynamics to their students through hands-on experiments that bring theory to life. When you consider its ability to accommodate large model structures and big loads, and its flexibility in the research lab, it’s easy to understand why many professors find it such a perfect match for their lab. As the largest member of the Quanser Shake Table family, the xy Shake Table III moves along two axes and can handle heavier loads. It is designed to accelerate loads of up to 100 kg at 1 g while providing high acceleration and velocity for a lab’s customized structures. As a member of Dalian University of Technology’s Faculty of Infrastructure Engineering in China, Professor Luyu Li uses the xy Shake Table III to conduct earthquake engineering research. One of his areas of interest involves conducting nonlinear vibration seismic performance tests on steel structures. He became interested in xy table motion when he was working on his PhD, when he began using a Quanser Shake Table II. At one time, he stacked two Shake Table II’s together to achieve the desired xy motion. At Dalian University, he was looking for a dedicated xy table with higher performance (heavier loads, weight bearing, higher acceleration, and greater stroke) compared to the stacked ST II arrangement and decided on the xy Shake Table III. 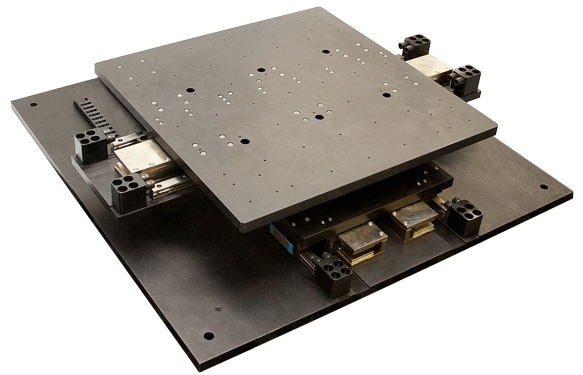 Key factors that led to his choosing the xy Shake Table III were its easy-connect capability, its compatibility with the Simulink environment, which he finds very suitable for control applications, and its high bandwidth using linear motor actuators. In addition, the xy Shake Table III came as a complete workstation, with Quanser data acquisition devices, accelerometers and QUARC® control design software for MATLAB®/Simulink®. Professor Felipe J. Perez is an assistant professor in CSU Pomona’s Civil Engineering department. He is currently using the xy Shake Table III to assist with undergraduate student projects and competitions, such as the Seismic Design Competition. There are plans to use the Shake Table as part of an existing structures laboratory to demonstrate dynamic characteristics of different structures. Professor Perez finds Quanser’s strong commitment to supporting his needs more than exceeded his expectations. A university-built customized structure is about to be tested on the Quanser xy Shake Table III by Professor Felipe J. Perez in his Civil Engineering lab at CalPoly Pomona. Professor José Carlos Gil of the Universidad Mariano Galvez de Guatemala tells us that their xy Shake Table III is used mainly to teach structural dynamics in structural engineering courses. Guatemala lies on a major fault zone and earthquakes are relatively common events. Fittingly, the university’s design course places special emphasis on building seismic-resistant structures. 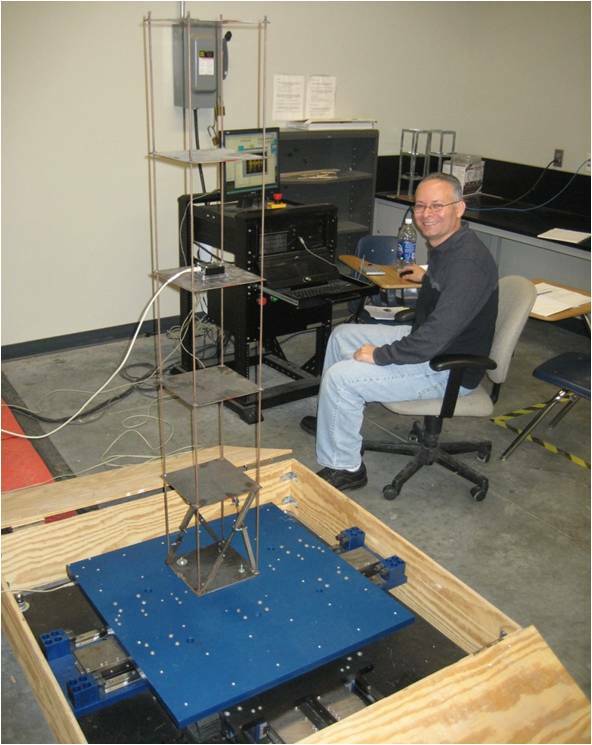 The xy Shake Table III has been used to demonstrate topics such as dynamic amplification, vibration modes, and the influence of such aspects in the structure dynamic response. Its size and capabilities also allows the school to conduct structural research using scale models. The university acquired the xy Shake Table III after reading about it in an engineering publication. They realized it would help them reach their teaching objectives in structural engineering. Stay tuned for more posts in this Shake Table series. For more information on Quanser Shake Table solutions, click here.